Milling is a specialized form of trimming cutting tools that can spin around the center, for the processing of flat or curved surface, when the surface creating ripples, crescent-shaped foil. Milling machines have been manufactured since the 16th century, is one of the machines accounted for the bulk of the mechanical plant, in Russia for every 100 machines, there are about 10 mills. Currently there is a growing trend for people to use milling instead. 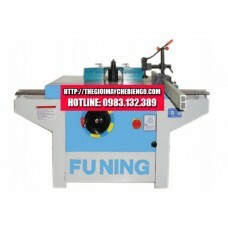 Thus the development of special-purpose milling machine has a special importance.